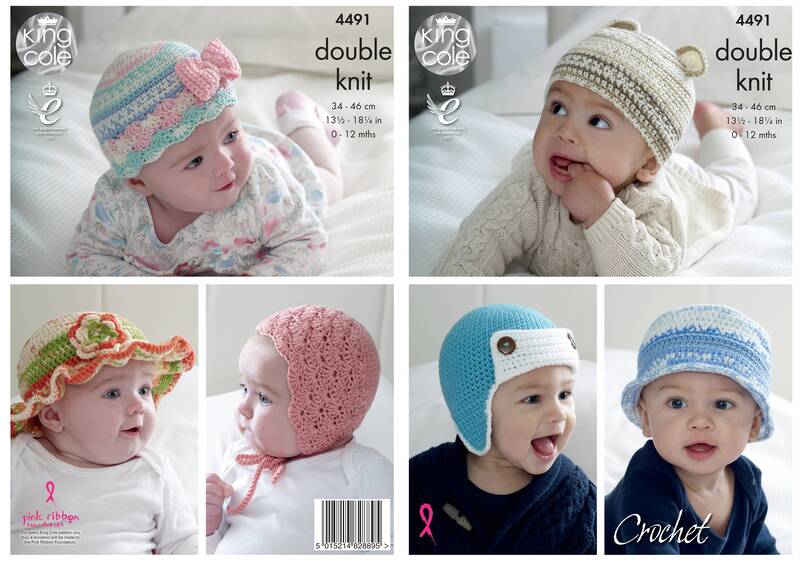 This crochet pattern has instructions for 6 Hats. Girl's Sunhat and Girl's Bonnet. Illustrated in King Cole Cherish DK and Cherished DK Yarn.